I recently finished my first official 21km race from the Davao Phoenix Marathon to support the Books Program of Phoenix Foundation Philippines. The unfamiliar terrain of Davao made the run challenging but my blisters made it more struggling physically and mentally. With over 2000 runners to participate various race categories including 42km, 21km, 10km, 5km and 500m, the marathon was a major blast. 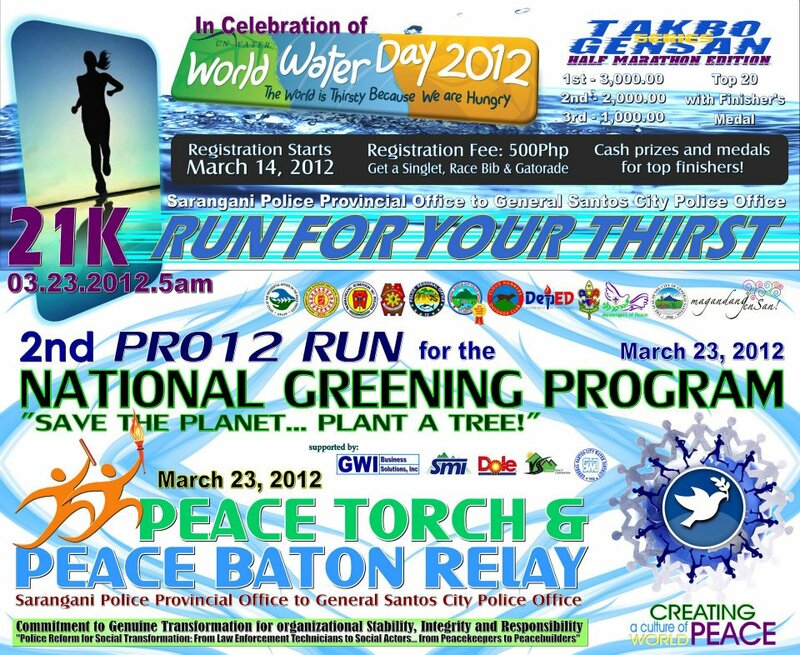 Now, that we are back in General Santos City, the GSC Police Office in partnership with other entities shall be holding its 2nd PRO 12 RUN of 21km edition to advocate the mandate for greening program among the PNP and the community. I could wish to join but I am all hesitant from my colds and weekday class. 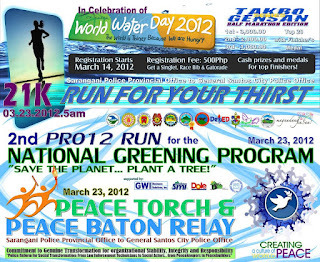 But, then, for everyone who is free and willing to support the cause, you can register at GSCPO at Camp Lira, General Santos City.